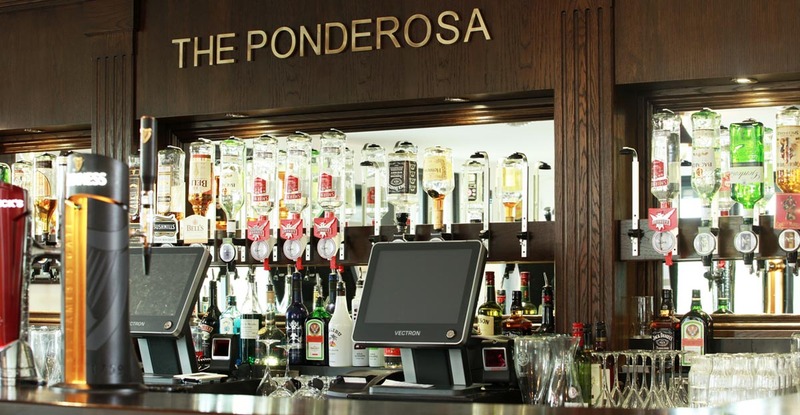 Ireland’s highest pub, the Ponderosa Bar & Restaurant on the Glenshane Pass has undergone a complete transformation. 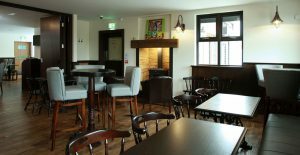 The popular venue has been completely renovated internally and major landscaping has been carried out around the building. 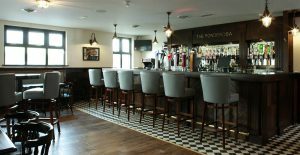 The interior fit-out and bespoke joinery package was managed as a design and build project by Marcon Fit-Out with all of the specialist joinery manufactured by the in-house workshop in Antrim. The handcrafted solid oak stained front and back bar is a traditional style and has a feature polished brass foot rail. 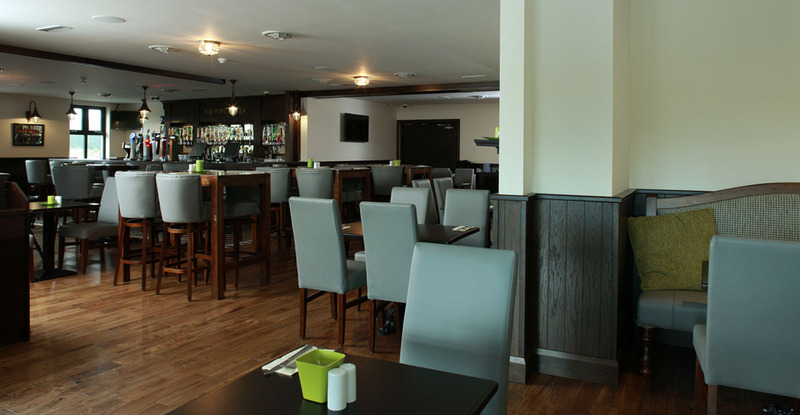 A feature sliding partition wall was installed which divides the public bar from the main 60 seat restaurant, giving the venue a lot of flexibility. Solid window boards and new column casings were fitted throughout the bar and restaurant and the tongue and grove perimeter wall panelling incorporates a solid drink shelf. New washrooms consisted of laminate IPS casing and cubicles with Corian vanity units and mirrors. Marcon also carried out work within the new convenience and hot food shop which involved the manufacture and installation of a coffee station and till points.